The documentary follows Hirochi Robaina, pictured, during the first weeks of harvest at the Robaina Farm. “I hope this will be a great harvest,” says a slightly grizzled Hirochi Robaina. He’s wearing a slightly frayed baseball cap that says “Robaina” across the top, and there’s a faint look of concern on his face as he passes through the thick, green leaves of his tobacco fields. It starts to rain, and you can see the worry in his eyes. That’s the opening scene of Prince of Smoke, a documentary by Matthew Gelb that will be screening next week at the Manhattan Film Festival. It’s set during the 2016 tobacco harvest in Cuba at the Robaina Farm, and chronicles the challenges Robaina faces as he tries to uphold his family name and rescue his imperiled crop of tobacco, threatened, of course, by bad weather, and by extension, climate change. 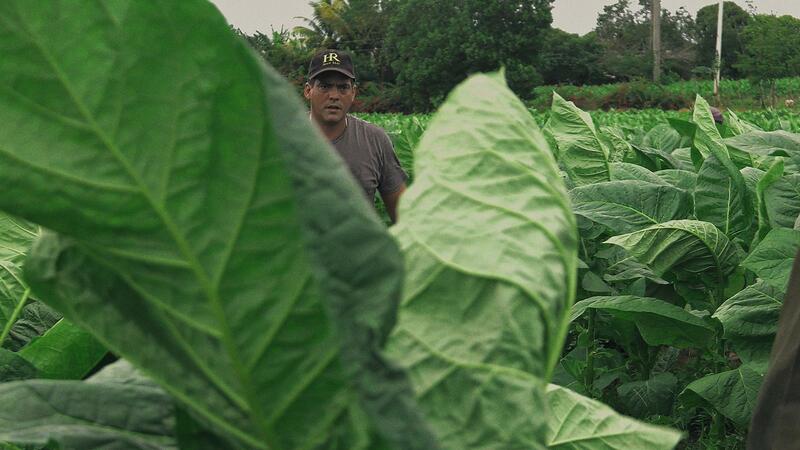 Prince of Smoke isn’t so much an agricultural lesson in growing tobacco as it is a picturesque visit to the Robaina Farm during the first weeks of harvest. The plantation has long been considered a mecca for cigar fans and is one of the more tourist-friendly farms on the island. The Robaina Farm is located in Pinar del Río, Cuba’s prime tobacco-growing region. The movie makes the pilgrimage for you. But it also gives some cultural context to the iconic Cuban cigar and offers an idea of what life is like growing tobacco in Cuba—especially if your last name is Robaina. For those who don’t already know, Hirochi is following in the footsteps of his grandfather, Alejandro, who had the reputation as Cuba’s most preeminent tobacco man before he passed away in 2010. 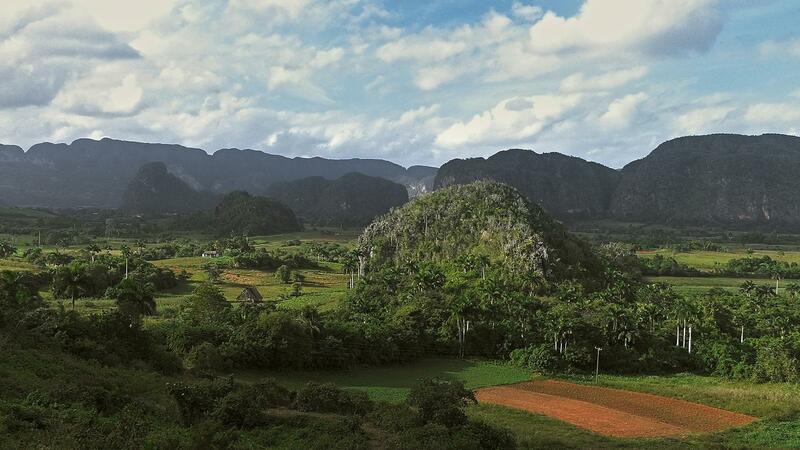 Throughout the short film (it’s less than 25 minutes long), there are plenty of beautiful shots showing the verdant splendor of Viñales and also lots of leafy close-ups that pop with so much detail you can see the sticky residue on the surface of each tobacco leaf. Thanks to the talent of Gelb (and his clever use of a Panasonic AG-DVX200 4K camcorder) the movie really does pluck up the viewer and drop him into the middle of Pinar del Río. But what compelled Gelb to make a documentary about Cuban tobacco? The documentary has been screening all over the U.S. since last year and was produced by Gelb’s brother, David, who was also the producer of the film Jiro Dreams of Sushi. 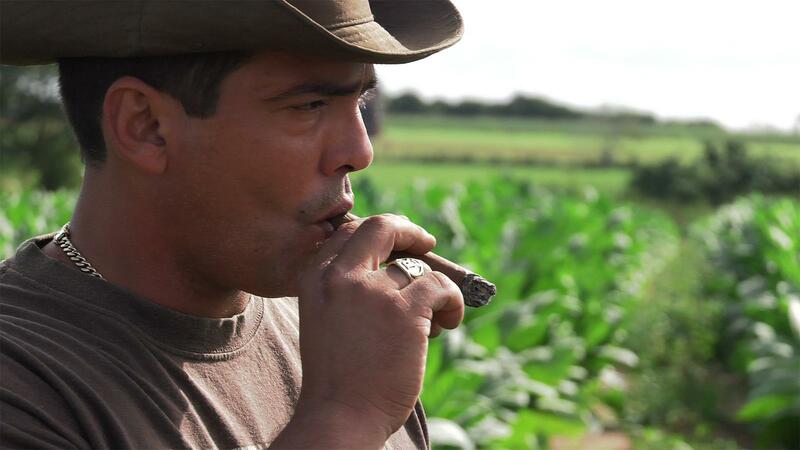 The film chronicles the challenges Robaina faces as he tries to uphold his family name and rescue his imperiled crop of tobacco. But Hirochi Robaina isn’t the only one who gets camera time. Gelb interviews Robaina’s mother and wife; Abel Expósito Diaz (former manager of the Partagás Cigar Shop in Havana); and also Robaina’s father, who is a constant presence at the Casa del Habano shop on 5th Avenue and 16th street in Havana’s Miramar section. All have some wisdom to impart. Prince of Smoke will be playing on April 27 at the Cinema Village theater during the 12th Manhattan Film Festival at 5 pm. For those who can’t make it, Gelb says that the film will be available for purchase online this summer, most likely through Amazon.